The global movement of consumers, investor and workers around the world, SumOfUs, has launched a new sign petition campaign that has the main objective to stop cocoa slavery. 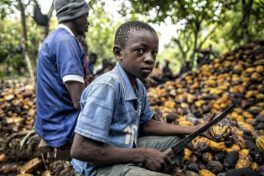 According to SomeOfUS, more than 2 million children work in cocoa plantations chopping with machetes and applying toxic chemicals. Some of those children are also victims of trafficking and modern-day slavery. The situation in the cocoa plantations is linked directly to the greed of a handful of mega corporations which depend on cocoa for their products. Ferrero represents a staggering 8.8% of the global chocolate market, and reported revenues of $10 billion in 2015. In contrast, most of the five million smallholder farmers who produce the world’s cocoa live well below the poverty line.